At Mehaz, perfecting beauty is truly a science. Years of experience go into the precise manufacture of every manicure implement. Old World craftsmanship combined with modern technology results in the finest tools available to the salon profession. Every implement from Mehaz is manufactured from the highest quality materials in Solingen, Germany. Experienced craftsmen, who take pride in their work hand finish each implement to perfection. From there the precise design and rigorous inspection of every Mehaz product unfolds. The result? Products so well made, Mehaz guarantees them for life. 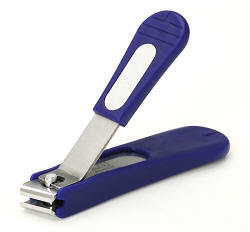 Professional nail clipper made of 100% stainless steel. May be disinfected. 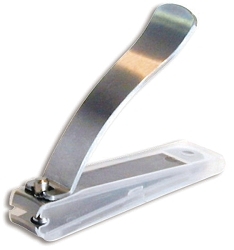 Professional toenail clipper made from 100% stainless steel. Curved cutlery may be disinfected. 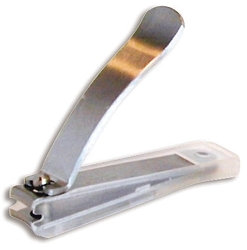 Stainless steel, heavy-duty toenail clipper features a straight edge blade. Ergonomically designed at an angle for ease of use, less wrist tension and to better treat ingrown toenails. May be disinfected. Includes file and clipping catcher. Adjustable for left-handed users.